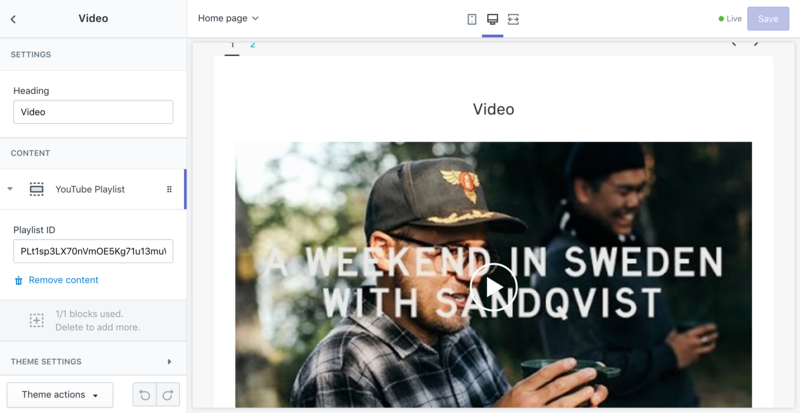 Display a YouTube video, YouTube playlist or YouTube uploads on the home page. Add a YouTube video, YouTube playlist or YouTube uploads. Add a single YouTube video. Add multiple videos from a YouTube channel. Add multiple videos from a YouTube playlist.